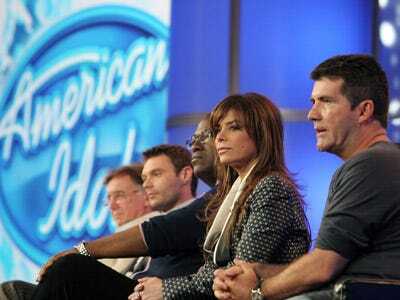 The American Idol franchise, as well as the careers of its stars, may soon have a private owner. CKX, which owns a large chunk of Elvis’ and Muhammed Ali’s likenesses in addition to TV’s No. 1 show and its associated rights, is nearing the end of a buyout deal at the hands of J.P. Morgan’s One Equity Partners. Wall Street Journal: As discussed, the deal would pay CKX shareholders about $6 a share, a 9% premium over its 4 p.m. price Thursday of $5.48. Shares reached $6.17 in late trading Friday, after The Wall Street Journal reported the pending transaction. Chief Executive Robert F.X. Sillerman is expected to retain his 20.6% stake in the company, these people said. Mr. Sillerman was not immediately available for comment. The company confirmed the buyout rumours to the AP. The stock is currently up 5 cents (1%) since Friday’s close. A finalised buyout deal will mark the end to a long game of tug-o’-war, as Sillerman has wanted to take the company private since 2007, when the credit crisis foiled his plans and forced him to sell nearly a third of his stake in the company. The company’s former CEO Simon Fuller fled in January, as did American Idol‘s Simon Cowell.